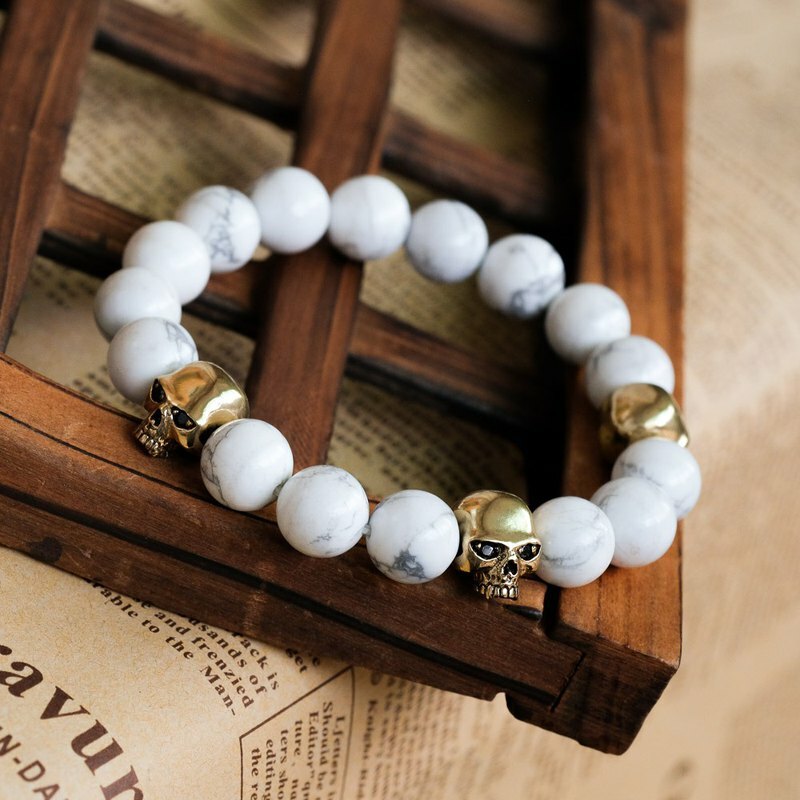 Black diamonds for the hollow eyes Stringed with natural stone beads a beautiful and punk-style bracelet Black blue tiger eye with a starry glow Or marble-like elegant white stone Two styles to choose from "This product is a customized product. It is not applicable to the provisions of Article 19 of the Consumer Protection Law on the 7th hesitation period. Please confirm your demand and place an order." Material: white stone pure brass zircon (drilling color can be changed to black, white, red, purple, dark blue) Size: Bead width 1 cm Inner circumference: 17 cm (elastic circumference) ※ The product packaging comes with a gift box, a collection of velvet bag, a storage bag and a silver cloth. If you need a gift bag, please inform us.